Usually a primary season is fraught with tension. The progressive community is divided about which candidates merit our support and I often find myself on different sides from my good friends, the people I work with in issue groups. Not this time. Given the broad support Jim Kenney has among progressives groups and organized labor, and given the cross racial, multi-ethnic coalition Jim Kenney has built, this feels more like a general election than a primary. What a contrast with past mayoral primaries! The 2007 Mayor’s race was particularly painful. I was a strong supporter of Michael Nutter and some of my very best friends were backing Chaka Fattah. One good friend and I had to agree not to talk about the Mayor’s race until after the primary election. The Clinton/ Obama race was another major problem for me. I was an early Obama supporter and also the president of the Philadelphia Chapter of the National Organization for Women. Most NOW members were passionate Clinton supporters and viewed someone like me as traitor. Fortunately for me, some of our active Philadelphia NOW members were Obama supporters and there was not a whole lot of tension within the chapter. But my connection with NOW did make me a target for Clinton supporters. One of my colleagues at the Community College of Philadelphia told me that if I continued to support Obama, I should resign as Philadelphia NOW president--I could be an Obama supporter or President of Philadelphia NOW, but not both. I didn’t resign, but I was acutely aware of the tension. Another example was the 2014 gubernatorial race with progressives deeply divided—-some of us supporting Allyson Schwartz, others supporting Rob McCord, others supporting Tom Wolf. It was such a relief when the primary was over and we were all on the same side. 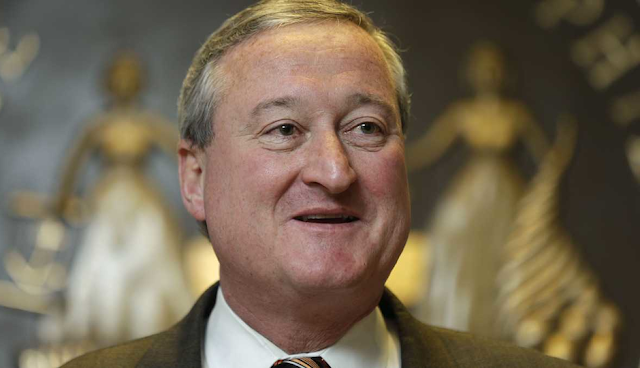 Of course, not everyone I’ve ever worked with or ever been allied with is supporting Jim Kenney in the 2015 mayoral race; however, I can’t recall a time when there was this much unanimity in a contested primary. Feminists /progressives generally agree on issues, but when it comes to deciding who is the best candidate to advance those issues, internecine warfare often breaks out. Now I keep reminding my self—-don’t get complacent, this is still a hotly contested election. The TV ad wars have yet to begin. What has been a fairly civil election could get really ugly. But at least I’m not fighting with my good friends in NOW.